I always thought of them as superheroes, anyway: Public Enemy is coming to comic books, in a title to debut at ComicCon in San Diego next summer. Via The Pulse. Dr. Doom: Prepare to be crushed like the insignificant ants you are! Flavor Flav: Ah ha, boyee! Bass for your face! Dr. Doom: What impudence is this? Do I sense the malleable hand of that clown Richards in this pathetic mockery? Chuck: Griff, sic the S1W's on him! Griff: D, it's only a Doombot! Dr. Doom: Of course, cretin. Did you think Doom so foolish as to let himself be manhandled by the likes of you? Wait, who--or what--is this?!!? Chuck: Break him down with your hands, Terminator X! Dr. Doom: It's time for me to exit. White Sox a lot, Red Sox much less. This is merely a test, as I am new to this thing. Just want to see what it looks like, figure out how to do the basics, etc. This is how to link to giant squid? Got it. I will soon ramble about something. Like having to move on short notice. It's no fun, kids. 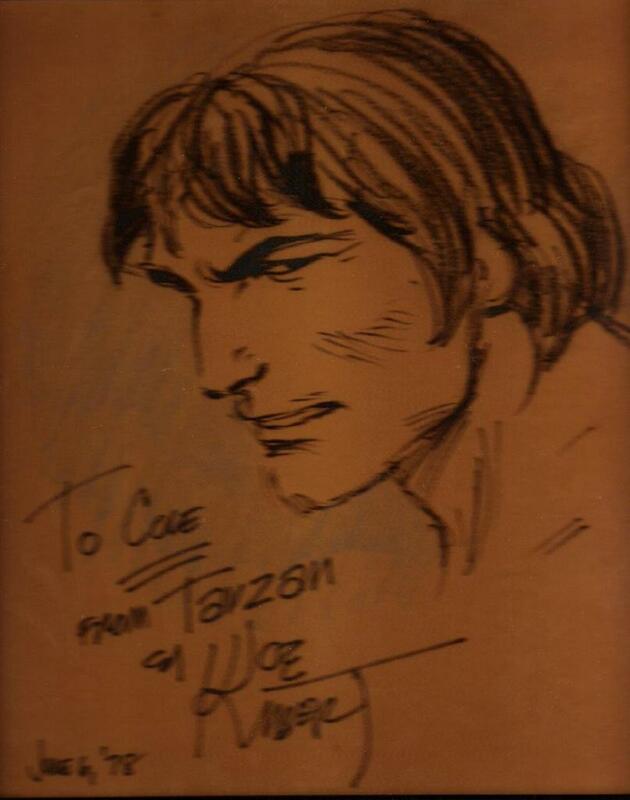 This is the story of possibly the best gift I ever received, a present from three men: my grandfather, Joe Kubert, and the Lord of the Jungle. My dad's father and I didn't have a very close relationship. Bascially, he had little patience for kids, and I was one. He was also about 7 hours away, in New Jersey, while I was raised at the foot of Vermont's Mount Ascutney. Further, I was fourth of eleven grandkids, so there was a very good chance I'd be lost in the shuffle, just another tow-headed, snot-nosed munchkin running around at family gatherings--and that much harder to pick out thanks to the martini-induced haze he found himself in each day after getting home from the paper. My grandfather had been many things in his life: war correspondent, O.S.S. spy, Pulitzer nominee, husband, father of four--and by 1978, when I was 7 years old, he was the executive editor of the 25,000 circulation Daily Advance in Dover, New Jersey. 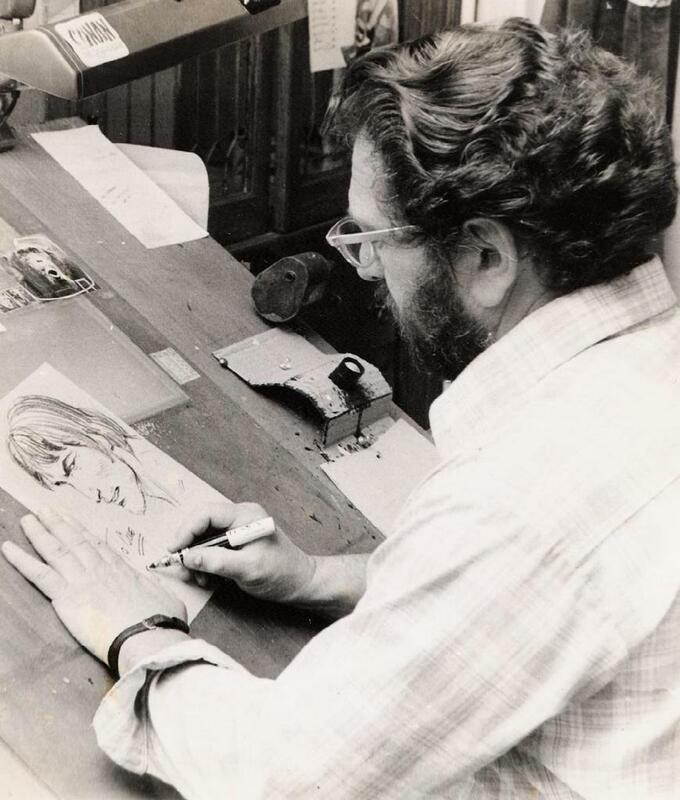 Comic book legend Joe Kubert had been running his School of Cartoon and Graphic Art in Dover for two years at that point, and as my grandfather was always on the hunt for feature stories to fill column inches, it was only a matter of time before his paper profiled the young school. Two things kept my grandfather from failing to notice me: I was a boy, and I was precociously bright--highly verbal, and curious about the world around me. I could read well enough by age three to serve as a parlor trick--as in, "Little Cole, read us definintions from the dictionary." This abilty was due in no small part to the comic books my dad read with me every night before bed, and which had a lock on my imagination. My grandfather knew this, so when I visited his offices he'd make sure I got the syndicate proofs for that day's comic strips. And when he sent a reporter to cover Kubert's school, he had me in mind. He got Joe, longtime DC comics artist and editor, famously associated with heroes such as Sgt. Rock, Hawkman and the Viking Prince, to draw me a picture. And he even got a shot of Joe in action, June 6, 1978. When the envelope arrived in the mail for me, I was simultaneously thrilled and disappointed. Kubert was one of my favorite artists--his sketchy, dynamic style was instantly recognizable, and it had an idiosynchratic human warmth missing from the work of many other mainstream comic book artists of the mid-1970s. Kubert's cover for Justice Inc. #1, a shot of stone-faced pulp hero The Avenger leaping straight at you from a passing plane in a startlingly turquiose sky, is permanently burned into my brain. But Tarzan? Why did it have to be Tarzan? Why couldn't it have been Hawkman, with his giant wings spread out against the night, swinging his mace at an attacking dinosaur? Why couldn't it have been Sgt. Frank Rock, diving into a foxhole as a Panzer rumbles by, bullets zinging through the air? Kubert's Tarzan wasn't on the rack at my local newsstand, and I had no idea how great it was. I wouldn't see an issue for another 25 years. Then I understood why Tarzan. And I couldn't have been happier with his choice. My grandfather and I drifted further and further apart over the years. A few months before his death of a stroke, I spoke with him over the phone about the passing of Charles Schulz just a few days before. He told me how he had made the decision to add Peanuts to his paper in the mid-1950s, and that he had cut the boxing strip Joe Palooka in order to make room. Later that week in a bar across from the paper, Palooka fans had threatened to punch him in the nose. I pointed out that he was lucky he hadn't cut Prince Valiant, or they probably would have run him through with a broadsword. By the way, Dark Horse Comics, which has held the Tarzan license for a number of years, has acquired the republication rights to Kubert's Tarzan stories for DC comics. They'll be reprinting them in high-end hardcovers starting later this year. If you like adventure comics, you'll love these.